How do I see Holdings on a case page? 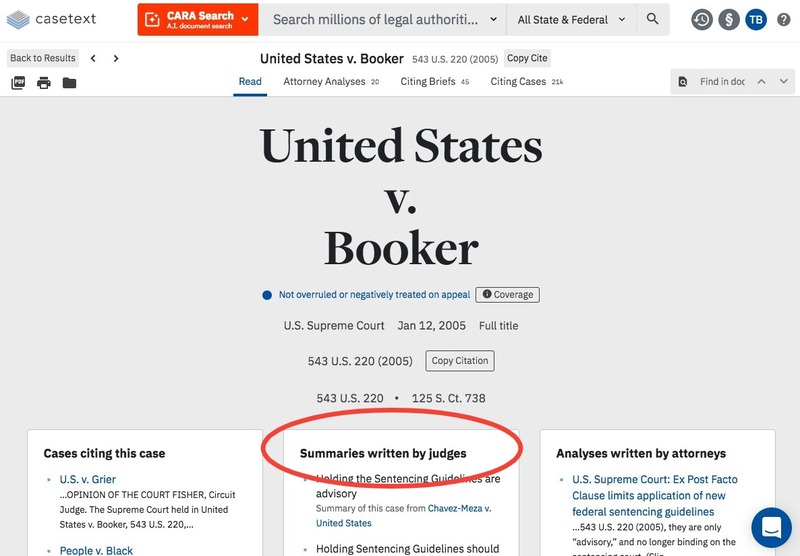 Learn about the "Summaries written by judges" box. On many cases, you will see a “Summaries written by judges” section below the case title on a case page on Casetext. 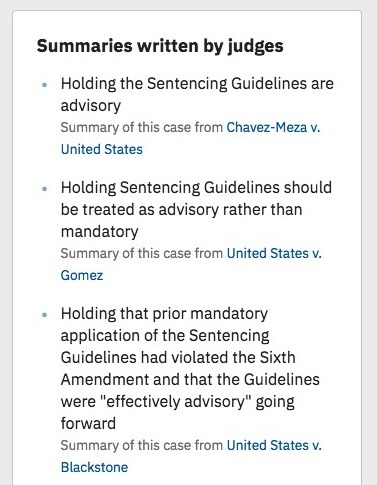 These summaries are how judges in later cases summarized the case you are looking at, give you a quick sense of what the case is about, and how you might be able to use it. You can also click through to the case that summarized the case you are currently reading. Casetext will display up to 25 summaries on a case page, and the list will initially be truncated. To view all the summaries, click on the Summaries link at the bottom of the box to expand the list.